The channel industry is a multifaceted ecosystem engulfed by logistical complexities, vague p2p (partner-to-partner) communication, and a constant stream of moving metrics. However, the collection of channel data is immensely important. So, how should manufacturers and vendors go about this convoluted process of channel data management without risking productivity? 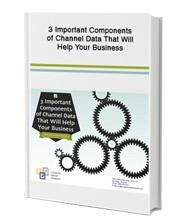 Fill out the form on the right to download your free copy of “3 Important Components of CDMs that Will Help your Business”.